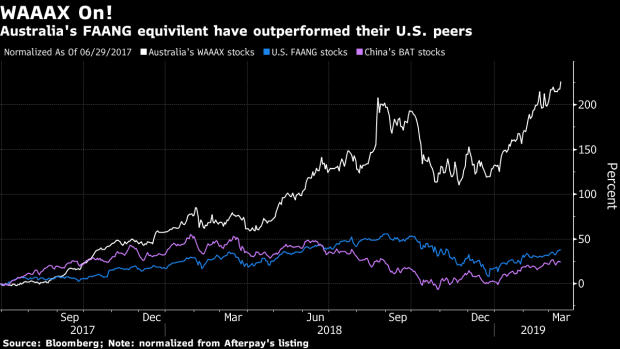 Australia hasn’t traditionally been known for tech stocks as financials, energy and mining account for more than half of the benchmark S&P/ASX 200 Index. Tech makes up less than 3 percent of the gauge, compared with more than 20 percent for the S&P 500 Index. --With assistance from Livia Yap and Joanna Ossinger.